As their mother lies in a coma in the Neuro ICU, three siblings find a home in waiting room 3. With humor and heart, Burst explores the intersection of crisis and comedy, trauma and love. DC Metro Theater Arts calls Burst “beautiful” and “touching,” with a “stunning final scene.” Read the review here. And be on the lookout for other special ticket offers! Sign up for our email list and follow us on Facebook, Twitter, and Instagram — that’s where we like to post ticket deals. After my mother’s burst brain aneurysm, my family and I took turns sitting with her through her coma. We would escape the busyness and banter of our waiting room to share quiet moments with the one we loved most. Over time, I became absolutely fascinated by what my sisters, my cousins, my uncles were saying to her in there. This play imagines that. It goes back and forth between a waiting room and an ICU room as five people discover who they are while they wait. BURST is approximately 85 minutes long with no intermission. Burst contains some language. It is recommended for ages 12+. Sound – Frank DiSalvo Jr. 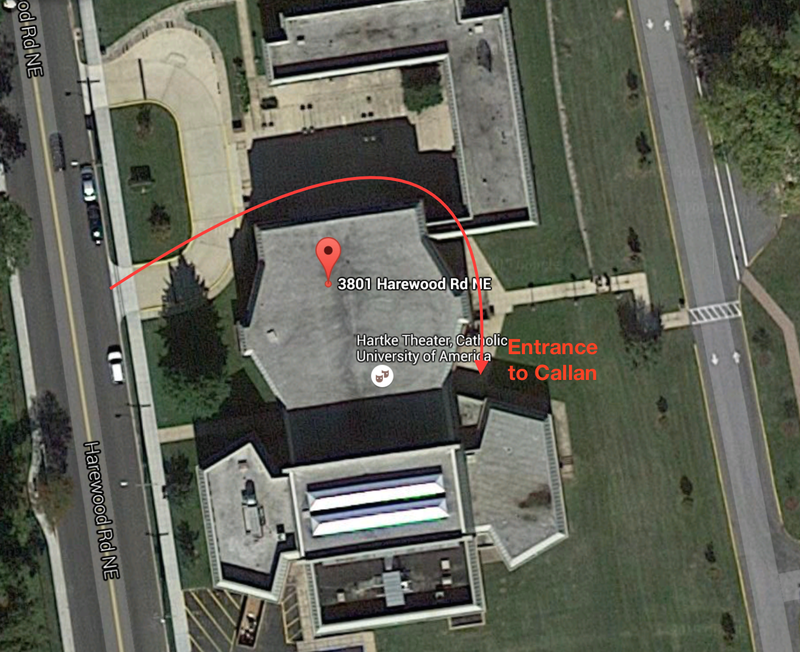 The Callan is located in the Hartke Theater complex on the campus of Catholic University. CUA’s campus is easily accessible at the Brookland/CUA Metro Stop on the Red Line. Plan your Metro trip here. There is plenty of street parking on Harewood Road which is free and unlimited on weekends and after 6:30PM on weekdays. Sign up for our email list to receive exclusive ticket deals and be the first to hear about future productions, as well as get fun extras like behind-the-scenes videos and interviews with the cast. You can unsubscribe at any time — but why would you want to?